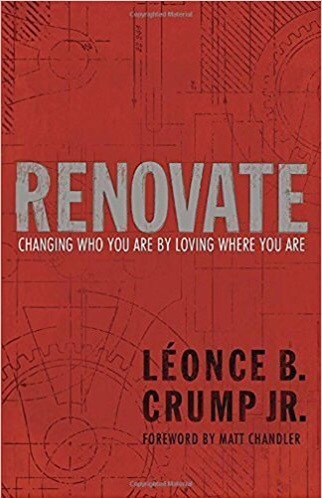 A review of the book “Renovate, Changing Who You Are By Loving Where You Are” by Leonce B. Crump Jr. This is a work of non fiction, which accounts the life of Pastor Leonce Crump and his ministry in Atlanta, GA. The book addresses the challenges of ministry, and the realization that Pastor Crump came to that changed his life, and ministry forever. This is a book for all ministry leaders, missionaries, preachers, teachers, and all believers. The overall content addresses how Pastor Crump and his family were able to reach the people of Atlanta by knowing them, understanding them, living among them, and knowing their story. The book challenges the reader over the theory of place. Crump asks the question “Why are we here?”, the whole book is built on this foundation. The author wants to challenge the reader to think about their community, are you their to bless people, contribute, and make a difference helping others, or are you in your community for yourself and your own gain. Crump states “Simply, our goal is not to get off the planet, but to see it renovated. Our goal is to see God heal the infection that affects His world because this world is our home” (Crump, 39). Crump continues on in his book to draw on this theory of place. Crump talks about the understanding that the earth is our eternal home where God will renovate and restore his creation that he called good and came to save. Crump makes a point that once as a believer we understand this, we can move our hearts to that of a redemptive spirit, and passion for our cities. My reactions to this book was that I was greatly challenged spiritually in my view of ministry, how I viewed heaven and earth and my understanding of place. Crump gave a lot of insight in understanding how to reach a city, how to live and be among the people you want to reach. Crump had amazing insights into scripture, and the power of his message. As an ordained minister I was challenged in how I have practiced, done and viewed ministry. This book has provided me with a bag full of tools on how to effectively reach my community as the Israelites were instructed to do in Jeremiah 29:1-7. I received a review copy of this book from the publisher for the purpose of a review.